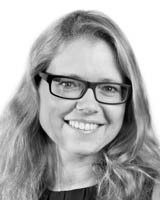 Elise van den Hoven is professor in the School of Software, Faculty of Engineering and Information Technology (FEIT), University of Technology Sydney (UTS) and part-time associate professor in the Department of Industrial Design, Eindhoven University of Technology (TU/e). She has two honorary appointments: honorary senior research fellow in Duncan of Jordanstone College of Art and Design, University of Dundee and associate investigator with the Australian Research Council's Centre of Excellence in Cognition and its Disorders. Elise leads the international research programme Materalising Memories, which is a collaboration between UTS, TU/e and the University of Dundee, in the area of designing for improved reliving of personal memories. She supervises students ranging from Bachelor to PhD levels with a variety of backgrounds and prefers teaching tangible and embodied interaction design, people-centred design and designing for remembering. Elise's international experience, includes visiting scientist positions before she moved to Australia: in the Synaesthetic Media Lab, GVU, GeorgiaTech, Atlanta, US; the Memoir project, University of Sheffield, UK and the Interactivation Studio, DAB, UTS. Elise is a member of the Self-Assessment Team progressing the UTS application for an Athena SWAN Bronze award, as part of the Science in Australia Gender Equity (SAGE) pilot. UTS is one of 40 higher education and research institutions in Australia joining this national gender equity pilot program for women and men in STEMM fields. IJsselsteijn, W, De Kort, Y, Midden, G, Eggen, B & Van Den Hoven, E 2006, Lecture Notes in Computer Science (including subseries Lecture Notes in Artificial Intelligence and Lecture Notes in Bioinformatics): Preface. Objects often become cherished for their ties to beliefs, experiences, memories, people, places or values that are significant to their owner. These ties can reflect the ways in which we as humans use objects to characterise, communicate and develop our sense of self. This paper outlines our approach to applying product attachment theory to design practices. We created six artefacts that were inspired by interviews conducted with three individuals who discussed details of their life stories. We then evaluated the associations that came to mind for our participants when interacting with these newly designed artefacts to determine whether these links brought meaning to them. Our findings highlight the potential of design to bring emotional value to products by embodying significant aspects of a person's self-identity. To do so, designers must consider both the importance and authenticity of the associations formed between an object and an individual. Technology is spreading in our everyday world, and digital interaction beyond the screen, with real objects, allows taking advantage of our natural manipulative and communicative skills. Tangible gesture interaction takes advantage of these skills by bridging two popular domains in Human-Computer Interaction, tangible interaction and gestural interaction. In this paper, we present the Tangible Gesture Interaction Framework (TGIF) for classifying and guiding works in this field. We propose a classification of gestures according to three relationships with objects: move, hold and touch. Following this classification, we analyzed previous work in the literature to obtain guidelines and common practices for designing and building new tangible gesture interactive systems. We describe four interactive systems as application examples of the TGIF guidelines and we discuss the descriptive, evaluative and generative power of TGIF. This paper focuses on co-present digital photo sharing on a notebook and investigates how this could be supported. While analyzing the current digital photo sharing situation we noticed that there was a high threshold for visitors to take control of the personal computer of the photo owner, resulting in inequity of participation. It was assumed that visitors would have the opportunity to interact with the notebook more freely if this threshold was lowered by distributing the user interface and creating a more public, instead of personal, interaction space. This, in turn, could make them feel more involved and in control during a session, creating a more enjoyable experience. To test these assumptions a design prototype was created that stimulates participants to use tangible artifacts for cooperative gestures, a promising direction for the future of HCI. The situation with the cooperative gestures was compared with the regular digital photo sharing situation, which makes use of a keyboard. In dyads, visitors felt more involved and in control in the design prototype cooperative gestures condition (especially during storytelling), resulting in a more enjoyable digital photo sharing experience. Many actions in the physical world take place in the background or periphery of peoples attention. However interactions with computing technologies usually require focused attention. This paper explores the concept of peripheral interaction: physical interaction with technology that takes place outside the focus of attention. A peripheral interaction design (called FireFlies), which supports primary school teachers in their everyday routine through open-ended light-objects on the childrens desks, was deployed in four classrooms for six weeks. Results of interviews and video analysis indicate that the six participating teachers were able to physically interact with the FireFlies interactive artefact quickly and frequently without disturbing ongoing tasks. In the final weeks of the study, the teachers seemed able to easily shift their focus of attention between their main task and the interactive system. We therefore conclude that, even though it is difficult to measure peoples attention, a longitudinal approach seemed effective to find indicators for peripheral interaction. In everyday life, we are able to perceive information and perform physical actions in the background or periphery of attention. Inspired by this observation, several researchers have studied interactive systems that display digital information in the periphery of attention. To broaden the scope of this research direction, a few recent studies have focused on interactive systems that cannot only be perceived in the background, but also enable users to physically interact with digital information in their periphery. Such peripheral interaction designs can support computing technology to fluently embed in, and become a meaningful part of peoples everyday routines. With the increasing ubiquity of technology in our everyday environment, we believe that this direction is highly relevant nowadays. This paper presents an in-depth analysis of three case studies on peripheral interaction. These case studies involved the design and development of peripheral interactive systems and deployment of these systems in the real context of use for a number of weeks. Based on the insights gained through these case studies, we discuss generalized characteristics and considerations for peripheral interaction design and evaluation. The aim of the work presented in this paper is to support interaction design researchers and practitioners in anticipating and facilitating peripheral interaction with the designs they are evaluating or developing. Bakker, S, Hausen, D, van den Hoven, E & Selker, T 2015, 'Preface: Designing for peripheral interaction: Seamlessly integrating interactive technology in everyday life', Interaction Design and Architecture(s), vol. 26, no. 1, pp. 3-5.
presented that have been created to support everyday remembering. People capture more and more photographs leading to large personal photo collections that require much time and effort to organize. A lack of organization can have a negative effect on photo retrieval and photo sharing. In this user-centred design case study, we have explored new possibilities for organizing and sharing photographs. To organize photographs, the concept living media was created; automatic positive selection based on which photographs are viewed more often and viewed for a longer time. These photographs are apparently more interesting, and therefore, they will keep their appearance; less popular photographs will slowly fade to black over time. To share living media away from the computer, the device Pearl was designed. Pearl has an integrated pico projector that projects an interactive collage of living media in a living room. Interaction with the collage, such as deleting unwanted photographs from the collage, gives input to the selection procedure of living media. Placing Pearl at a distance creates a larger projection size, suitable for sharing photographs with a group of people. Our design is evaluated in two small-user studies, where we found benefits and challenges of using a combination of positive selection and pico projectors for photowork and photo sharing. This paper aims to put the memory cue in the spotlight. We show how memory cues are incorporated in the area of interaction design. The focus is on external memory cues - cues that exist outside the human mind but have an internal effect on memory reconstruction. Examples of external cues include people, environments, and things, where the latter are most relevant for the aim of this paper since these cues can be incorporated in designs. This paper makes a dual contribution to research: (1) it provides insights into how memory research informs the design of devices to facilitate personal memory recall; and (2) by taking a design perspective, it raises questions about memory cues as part of real-life remembering to inform psychological memory research. Since memory theory inspires design and both fields would benefit from collaboration, we would like these questions to be an inspiration for future memory research, in particular targeting external memory cues. With current digital technologies, people have large archives of digital media, such as images and audio files, but there are only limited means to include these media in creative practices of crafting and making. Nevertheless, studies have shown that crafting with digital media often makes these media more cherished and that people enjoy being creative with their digital media. This paper aims to open up the way for novel means for crafting, which include digital media in integrations with physical construction, here called 'hybrid crafting'. Notions of hybrid crafting were explored to inform the design of products or systems that may support these new crafting practices. We designed 'Materialise' a building set that allows for the inclusion of digital images and audio files in physical constructions by using tangible building blocks that can display images or play audio files, alongside a variety of other physical components-and used this set in four hands-on creative workshops to gain insight into how people go about doing hybrid crafting; whether hybrid crafting is desirable; what the characteristics of hybrid crafting are; and how we may design to support these practices. By reflecting on the findings from these workshops, we provide concrete guidelines for the design of novel hybrid crafting products or systems that address craft context, process and result. We aim to open up the design space to designing for hybrid crafting because these new practices provide interesting new challenges and opportunities for future crafting that can lead to novel forms of creative expression. Personal remembering can be heavily influenced by the context in which it takes place, which includes external factors such as people, locations and things. These things can be physical, digital or a combination of both, such as digital photographs displayed on a physical screen. Together, these media and media carriers can act as memory cues, which in turn can be purposely created for the support of remembering experiences. The aim of this article is to show the challenges, potential and opportunities of this multidisciplinary research area, Materialising Memories, which creates interactive designs to be used in context. This will be illustrated through the presentation of two design case studies supporting photo sharing in everyday life: Cueb and 4Photos. According to Dillenbourg et al. (1996), collaborative learning occurs when two or more people try to learn something together. This process consists of four successive stages, one of which concerns collaborative interactions. In this paper we present two studies that implemented two different ways of increasing the number of collaborative interactions. To increase the number of collaborative interactions in a game, the first study focused on degrees of collaboration (Kahn and Mentzer, 1996) and the second study focused on cooperative gestures (Morris et al., 2006a), which were used in the third degree of the first study. In order to facilitate collaborative interactions and its properties (Dillenbourg, 1991), we decided to design two digital tabletop games with tangible interaction that both require collaboration to win. The evaluations in both studies, by means of the Wizard of Oz method, showed a significant increase in collaborative interactions. We also found that verbal and gestural interactions are a better measure criterion for tabletop games than how much people look at each other. This article focuses on the conceptual relation between the user's input and a system's output in interaction with smart tangible objects. Understanding this input-output relation (IO relation) is a prerequisite for the design of meaningful interaction. A meaningful IO relation allows the user to know what to do with a system to achieve a certain goal and to evaluate the outcome. The work discussed in this article followed a design research process in which four concepts were developed and prototyped. An evaluation was performed using these prototypes to investigate the effect of highly different IO relations on the user's understanding of the interaction. The evaluation revealed two types of IO relations differing in functionality and the number of mappings between the user and system actions. These two types of relations are described by two IO models that provide an overview of these mappings. Furthermore, they illustrate the role of the user and the influence of the system in the process of understanding the interaction. The analysis of the two types of IO models illustrates the value of understanding IO relations for the design of smart tangible objects. © 2013 ACM. Because most teenagers strive for freedom and try to live autonomously, communication with their parents could be improved. It appeared from a literature review and a diary study that parent-teenager communication primarily addresses teenager-oriented everyday activities. However, it also showed teenagers have a substantial interest in getting to know their parents and their parents' past. The study described in this paper seeks to address this opportunity by designing a product for parents and teenagers that facilitates communication about the past of the parents. The resulting design, called Cueb, is a set of interactive digital photo cubes with which parents and teenagers can explore individual and shared experiences and are triggered to exchange stories. An evaluation of a prototype of Cueb with four families showed that the participants felt significantly more triggered and supported to share their experiences and tell stories with Cueb's full functionality (connecting cubes, switching, and locking photographs) than with limited functionality (shaking to display random photographs), similar to more traditional photo media. In our global village, distance is not a barrier anymore for traveling. People experience new cultures and face accompanying difficulties in order to live anywhere. Social support can help these sojourners to cope with difficulties, such as culture shock. In this paper, we investigate how computer-mediated communication (CMC) tools can facilitate social support when living physically separated from loved-ones in different cultures. The goal is to understand the design considerations necessary to design new CMC tools. We studied communication practices of Chinese sojourners living in the Netherlands and the use of a technology probe with a novel video communication system. These results led to recommendations which can help designers to design interactive communication tools that facilitate communication across cultures. We conclude the paper with an interactive communication device called Circadian, which was designed based on these recommendations. We experienced the design recommendations to be abstract enough to leave space for creativity while providing a set of clear requirements which we used to base design decisions upon. Understanding tangible interactions foundational concepts can lead to systems with direct, integrated, and meaningful data control and representation. In a world in which intelligent technologies are integrated in everyday objects and environments, users are at risk of being overburdened with information and interac- tion possibilities. Calm technology therefore aims at design- ing interactions that may reside in the periphery of the userâs attention and only shift to the center of the attention when re- quired. However, for such designs to be effective, a detailed understanding of human attention abilities is needed. In this paper, we therefore present a qualitative study on the every- day periphery of the attention. As we expected, we found that sound plays a major role in this, which supports our ap- proach to use interactive sonification as an interaction style for peripheral interaction. We present a range of rich exam- ples of everyday situations that lay out the design space for peripheral interaction and support these findings by describ- ing three initial designs that use interactive sonification for peripheral interaction. Photographic mementos are important signifiers of our personal memories. Rather than simply passive representations of memories to "preserve" the past, these photos are actively displayed and consumed in the context of everyday behavior and social practices. Within the context of these settings, these mementos are invoked in particular ways to mobilize particular social relations in the present. Taking this perspective, we explore how photo mementos come to be used in the everyday social setting of sharing meal. Rather than a simple concern with nutritional consumption, the shared meal is a social event and impor- tant cultural site in the organization of family and social life with culturally specific rhythms, norms, rights, and responsibilities. We present a system-4 Photos-that situates photo mementos within the social concerns of these settings. The system collates photo mementos from those attending the meal and displays them at the dining table to be interacted with by all. Through a real-world deployment of the system, we explore the social work performed by invoking these personal memory resources in the context of real-world settings of shared eating. We highlight particular features of the system that enable this social work to be achieved. Golsteijn, C & van den Hoven, E 2012, 'Cueb', interactions, vol. Mar/Apr, pp. 9-9. Cueb is a set of interactive photo cubes that aims to encourage parents and teenagers to explore digital photos of their individual and shared experiences, reminisce, and exchange stories. Family members each have their own cube with photos of their individual experiences. Shaking a cube will randomly display photos on six sides. Connecting cubes by holding them together will display photos of the family membersâ shared experiences. Photos can be transferred between cubes and locked for use as a selection filter to find related photos. This generates surprising photo results and allows parents and teenagers to compare their experiences. This paper focuses on the old school game of shooting marbles. We investigate which aspects of this tangible game make it popular and show how experienced fun can increase by elaborating such aspects through an iterative design process. A questionnaire and field study, tailored to the user group of primary school children aged 9-12 years old, revealed that aspects within areas of physical control, surface of the playground, opponent, and stakes of the game had the biggest influence on the fun experience of shooting marbles. A gameflow model and fun toolkit were used to improve the game in these respective areas. This resulted in a moving marble hole entitled Marbowl: a tangible marble game that augments existing game aspects such as timing, distance, surface, and other physical and environmental influences. A working prototype was field tested with 24 children at a primary school. Results show that different gameflow areas like concentration needed, playability, difficulty to win the game, and amount of challenge, increased in a positive way. Together these findings concluded that compared with the original marble game, children experienced a higher level of fun while playing with Marbowl. For centuries, learning and development has been supported by physical activity and manipulating physical objects. With the introduction of embedded technologies, opportunities for employing tangible or embodied interaction for learning and development have emerged. As a result of previous research, we have seen that interaction models based on embodied knowledge (through embodied metaphors) can support children's learning in abstract domains. Although metaphorical mappings are promoted in tangible and embodied interaction research, little is known about how to identify embodied metaphors, or how to implement them effectively into interaction models. In this paper, we introduce a people centered, iterative approach to the design of tangible learning systems with embodied metaphor-based mappings. As a design case, we imple- mented our approach to the design of Moving Sounds (MoSo) Tangibles; a tangible system for learning abstract sound concepts. The system consists of a set of interactive tangibles with which children can manipulate pitch, volume, and tempo of ongoing tones. In a user study with 39 participants, we found that all children were able to reproduce sound samples with MoSo Tangibles. Interactions in and with the physical world have enabled us to perform everyday activities in the periphery of our attention. Even though digital technologies are becoming increasingly present in the everyday environment, interaction with these technologies usually requires people's focused attention. In the realm of the vision of calm technology, we think that designing interactions with the digital world inspired by our peripheral interaction with the physical world, will enable digital technologies to better blend into our everyday lives. However, for such interaction design to be effective, a detailed understanding of the everyday periphery is required. In this paper, we therefore present a qualitative study on every- day activities that may take place in the periphery of the attention. We provide a broad range of examples of such everyday activities and cluster them to present the conditions under which they may be performed peripherally. Furthermore, we discuss how our findings may be relevant for the design of peripheral interactions with digital technologies, and present two conceptual designs that are based on our findings. This special issue focuses on new uses of digital media to help people remember in everyday situations. We begin this introduction by describing the field's origins (personal memories past), using this to contextualise the papers presented here (personal memories present). We conclude by identifying a number of important research challenges that we feel must be addressed by future work in this area (personal memories future). Reading books can serve as a means of gathering information, relaxing and escaping daily stress. Although reading is often primarily an individual activity, many readers also enjoy sharing reading experiences with friends, relatives, colleagues and, through the internet, even with strangers. Apart from valuing these individual and collective book activities, books as physical artifacts are also valued, for example because of the memories associated with them. This paper investigates how books can be enhanced with a new product, system or service. In a qualitative interview study, the main reasons for valuing books were found to be related to the self (individual activities and feelings), experiences (e.g., enjoyment or release) and personal values (e.g., embodiment of ideals or personification). As a result, it was decided for the remainder of this study to focus on communication about books, because in addition to individual book-related activities and feelings, users indicated to communicate about books a lot. A book community Web site, called Shelf, was developed to investigate whether book communication could be increased by facilitating an online community and whether users would appreciate the Website functionality. Shelf was used in a 14-day user evaluation, and it was concluded that the Web site increased the extent to which readers communicated about books. We expect that such an online book community would be a valuable enhancement of current book customs, in particular in combination with the current e-book trend, for various types of readers who would like to share their experiences. Tangible interaction is a growing area of human-computer interaction research that has become popular in recent years. Yet designers and researchers are still trying to comprehend and clarify its nature, characteristics, and implications. One approach has been to create frameworks that help us look back at and categorize past tangible interaction systems, and look forward at the possibilities and opportunities for developing new systems. To date, a number of different frameworks have been proposed that each provide different perspectives on the tangible interaction design space, and which can guide designers of new systems in different ways. In this paper, we map the space of tangible interaction frameworks.We order existing frameworks by their general type, and by the facets of tangible interaction design they address. One of our main conclusions is that most frameworks focus predominantly on the conceptual design of tangible systems, whereas fewer frameworks abstract the knowledge gained from previous systems, and hardly any framework provides concrete steps or tools for building new tangible systems. In addition, the facets most represented in existing frameworks are those that address the interactions with or the physicality of the designed systems. Other facets, such as domain-specific technology and experience, are rare. This focus on design, interaction, and physicality is interesting, as the origins of the field are rooted in engineering methods and have only recently started to incorporate more design-inspired approaches. As such, we expected more frameworks to focus on technologies and to provide concrete building suggestions for new tangible interaction systems. External cognition concerns knowledge that is embedded in our everyday lives and environment. One type of knowledge is memories, recollections of events that occurred in the past. So how do we remember them? One way this can be done is through cuing and reconstructing. These cues can be internal, in our minds, or in our everyday environment. In this paper we look at memory cues in our environment by comparing the effect of cue modality (odor, physical artifact, photo, sound, and video) on the number of memory details people had from a unique one-day real-life event. Contrary to expectation, the no-cue condition (in effect, only a question asking the participants to write down their memories) created on average significantly more memory-details than the cued conditions. When meeting someone new, the first impression is often influenced by someoneâs physical appearance and other types of prejudice. In this paper, we present TouchMeDare, an interactive canvas, which aims to provide an experience when meeting new people, while preventing visual prejudice and lowering potential thresholds. The focus of the designed experience was to stimulate people to get acquainted through the interactive canvas. TouchMeDare consists of a flexible, opaque canvas, which plays music when touched simultaneously from both sides. Dynamic variation of this bodily contact is reflected through real-time adaptations of the musical compositions. Two redesigns were qualitatively and quantitatively evaluated and a final version was placed in the Lowlands Festival as a case study. Evaluation results showed that some explanation was needed for the initial interaction with the installation. On the other hand, after this initial unfamiliarity passed, results showed that making bodily contact through the installation did help people to get acquainted with each other and increased their social interaction. Hornecker, E, Jacob, RJ, Hummels, C, Ullmer, B, Schmidt, A, van den Hoven, E & Mazalek, A 2008, 'TEI Goes On: Tangible and Embedded Interaction', IEEE Pervasive Computing, vol. 7, no. 2, pp. 91-96. Autobiographical memory (AM) is the "memory for the events in one's life" . Often it is assumed that in order to remember all those events, you just need to record everything and when you replay these recordings you will remember those events. You can compare this with a library metaphor that has been used to explain AM according to the record-keeping approach. However, after many years of AM-research it was concluded that AM is stored in a different manner, namely according to the constructionist approach, which often is initiated by memory cues. This paper explains these AM theories, surveys literature on existing augmented memory systems and describes our own work in this area. All this input is combined into eight design recommendations for future augmented memory systems. Tieben, R, van Boerdonk, K, Klooster, S & van den Hoven, E 2007, 'Meeting by moving, mediated through music', IEEE Pervasive Computing, vol. 6, no. 3, pp. 62-63. Each year, the Dutch Lowlands Festival creates a unique, relaxed atmosphere where 55,000 visitors come to appreciate live music, movies, stand-up comedy, and street performances. Building on this experimental environment, we designed a flexible, opaque screen that facilitates meeting between strangers, who can create music together through bodily contact (see figure 4). Dynamic variation of bodily contact through the screen determines the music's composition and helps people feel connected. During the iterative design research process, we applied Choreography of Interaction, a movement-based design approach. Our first working prototype incorporated 18 randomly divided unnoticeable sensors, which were directly coupled to music samples. User evaluation showed that people searched the screen for the music instead of focusing on each other through the screen. We determined that the variables of musical composition needed to reflect the dynamic variation of bodily contact more coherently. We created a prototype that incorporates 120 sensors and that we can program differently to translate bodily contact into musical composition. This lets us create and evaluate interaction variants that presumably will lead to different gradations of experiences. We are now preparing a test to find the appropriate coupling between dynamic variation of bodily contact and musical composition that establishes a meeting experience through the screen. For more information, contact Sietske Klooster at s.klooster@tue.nl or Elise van den Hoven at e.v.d.hoven@tue.nl. © Springer International Publishing Switzerland 2017.The focus of this chapter is on designing for smart homes. The perspective will be user-driven design research. The chapter starts with a context analysis of the home environment. This analysis shows that, from a user perspective, home is about emotions and not about the physical house with all its smart applications. It is this 'home experience' designers have to design for. The core of the chapter consists of the description of three big challenges that modern designers (need to) face when designing or studying smart home environments. These challenges are linked to existing and future design paradigms. The following challenges are addressed: (1) What makes a worthwhile user experience? (2) How to design for user experience? (3) How to design for user experiences that can be seamlessly integrated in everyday life? The chapter concludes with a summary of the main insights that emerge from current design research practice facing these challenges. Many universities international activities have increased enormously in volume, scope, and complexity in recent years (Altbach & Knight, 2007; Altbach, 2015) with education providers seeking more innovative ways to provide education across boundaries. Joint doctoral degrees are one example of such an initiative, focusing on international collaboration between institutions. Joint doctorates can provide richer and more rewarding learning experiences for PhD students, supervisors and colla- borating institutions. However, all the parties involved also need to be aware of the potential challenges and considerations that underpin effec- tive outcomes, as well as the key differences between joint degree docto- rates and doctorates with more traditional approaches. It has been pointed out that the literature on joint degree programmes is 'thin' pro- viding limited information for institutional leaders (and other parties involved in their setting up and conduct) who may be contemplating joint degree initiatives (Michael & Balraj, 2003). This chapter draws on a unique case study of a joint doctoral programme that operates across continents and academic cultures to illustrate the challenges and consid- erations that should be borne in mind prior to entering into joint doctoral arrangements. Various ways in which the associated challenges may be overcome are also suggested in order to support effective outcomes for all the parties involved. van den Hoven, E 2010, 'Designing for memories' in Skalska, S (ed), TREND BOOK 2010 DUTCH DESIGN WEEK EINDHOVEN/HELSINKI DESIGN WEEK, Dutch Design Week, Eindhoven, The Netherlands, pp. 27-27. Where would we be without our personal memories? We use them to maintain our personal identities, to start and media relationships, to shape our likes, dislikes, to regulate our moods and to solve problems. They allow us to share rich life experiences and tell our stories to family and friends. There is no question about the importance of the memories of the events that happen in our lives. As more and more media become digital (whether these be photos, videos/audio snippets, olfactory or haptic cues), new ways of cueing our memory our emerging. My design research focuses on ordinary people using digital media to help them remember everyday situations. For example, by using digital photos to facilitate communication between parents and teens, organizing digital photo collections through smart interactive photo collages, but also by supporting mourners remembering a loved one. IJsselsteijn, W, de Kort, Y, Midden, CJ, Eggen, B & van den Hoven, E 2006, 'Persuasive Technology for Human Well-Being: Setting the Scene' in IJsselsteijn, W, Kort, YD, Midden, CJH, Eggen, B & Hoven, EVD (eds), Proceedings of the First International Conference on Persuasive Technology for Human Well-Being (PER, Springer-Verlag, Heidelberg, Germany, pp. 1-5. In this short paper we aim to give a brief introduction to persuasive technology, especially as it pertains to human well-being. We discuss a number of current research opportunities in areas of healthcare, environmental conservation, and education. We conclude by highlighting what we regard as the key research challenges that need to be addressed, focusing on context sensing and appropriate feedback, the need for longitudinal user studies, and ethical concerns. van Loenen, E, de Jong, N, Dijk, E, van den Hoven, E, Qian, Y & Teixeira, D 2003, 'Phenom' in Aarts, E & Marzano, S (eds), The New Everyday, Views on Ambient Intelligence, 010 Publishers, Rotterdam, The Netherlands, pp. 302-302. As the amount of information and entertainment we have access to increases, there's a rapidly growing need for intelligent systems that will help us find the right content instantly at any time or place. PHENOM explores how Perceptive Home Environments can help us easily find or browse through valuable personal memories, and enjoy sharing them with others. van Loenen, E & van den Hoven, E 2003, 'Photo Browsing in a Smart Environment' in Ruyter, BD (ed), 365 days' Ambient Intelligence research in HomeLab, Royal Philips Electronics, Eindhoven, The Netherlands, pp. 19-21. Hypothesis: People have a need for Ambient Intelligent products that support digital photo browsing, and the Memory Browser concept is suited to meet that need Concept:A system that helps people to navigate their photo collection at any place in the home in an intuitive manner, by means of physical objects such as souvenirs and "drag-and-view" of images to stationary and portable screens Results: Users were delighted by the meaningful navigation concept and device, and acknowledged the need for it: "Great,when will it be on the market?" © 2018 Copyright is held by the owner/author(s). More HCI designs and devices are embracing what is being dubbed 'body centric computing,' where designs both deliberately engage the body as the locus of interest, whether to move the body into play or relaxation, or to track and monitor its performance, or to use it as a surface for interaction. Most HCI researchers are engaging in these designs, however, with little direct knowledge of how the body itself works either as a set of complex internal systems or as sets of internal and external systems that interact dynamically. The science of how our body interacts with the microbiome around us also increasingly demonstrates that our presumed boundaries between what is inside and outside us may be misleading if not considered harmful. Developing both (1) introductory knowledge and (2) design practice of how these in-bodied and circum-bodied systems work with our understanding of the em-bodied self, and how this gnosis/praxis may lead to innovative new body-centric computing designs is the topic of this workshop. Since the widespread adoption of digital photography, people create many digital photos, often with the intention to use them for shared remembering. Practices around digital photography have changed along with advances in media sharing technologies such as smartphones, social media, and mobile connectivity. Although much research was done at the start of digital photography, commercially available tools for media-supported shared remembering still have many limitations. The objective of our research is to explore spatial and material design directions to better support the use of personal photos for collocated shared remembering. In this paper, we present seven design requirements that resulted from a redesign workshop with fifteen participants, and four design concepts (two spatial, two material) that we developed based on those requirements. By reflecting on the requirements and designs we conclude with challenges for interaction designers to support collocated remembering practices. © 2017 ACM. Reflection in and on everyday life can provide selfinsight, increase gratitude and have a positive effect on well-being. To integrate reflection in everyday life, media technologies can provide support. In this paper, we explore how both media creation & use in different modalities can support reflection. We present the ongoing work of designing and building Balance, Cogito, and Dott, focusing on media in audible, textual and visual form. We discuss our research-Through-design process and address the differences between modalities in terms of interaction, tangibility, and the integration in everyday life. Romantic relationships are often facilitated through digital technologies, such as social networking sites and communication services. They are also facilitated through "digital possessions", such as messages sent to mobile devices and photos shared through social media. When individuals break up, digitally disconnecting can be facilitated by using those digital technologies and managing or curating these digital possessions. This research explores the break up stories of 13 individuals aged between 18 and 52. The aim of this work is to inform the design of systems focused on supporting individuals to decouple and disentangle digitally in the wake of a break up. Four areas of interest emerged from the data: communication, using digital possessions, managing digital possessions, and experiences of technology. Opportunities for design were identified in decoupling and disentangling, and designing around guilt. Rehabilitation exercises following stroke are by necessity repetitive and consequently can be tedious for patients. Hospitals are set up with equipment such as clothes pegs, wooden blocks and mechanical hand counters, which patients use to re-learn how to manipulate objects. The aim of this study is to understand the context of stroke patients rehabilitation as well as which types of feedback are most appropriate for patients when performing their rehabilitation exercises. Over 60 hours were spent observing stroke patients undergoing rehabilitation. Fourteen stroke patients who had attended a balance class were interviewed about their experiences and the feedback they received. From this fieldwork, a set of design guidelines has been developed to guide researchers and designers developing computer-based equipment for stroke patient rehabilitation. Rapp, A, Cena, F, Kay, J, Kummerfeld, B, Hopfgartner, F, Larsen, JE & Van Den Hoven, E 2016, 'FuturePD. the future of personal data: Envisioning new personalized services enabled by Quantified Self technologies', CEUR Workshop Proceedings. Quantified Self is rising new challenges for user modeling and personalization. In this workshop we aim at exploring the future of personalized services enabled by Quantified Self technologies. © 2016 ACM.Finding media in archives is difficult while storytelling with photos can be fun and supports memory retrieval. Could the search for media become a natural part of the storytelling experience? This study investigates spatial interactions with objects as a means to encode information for retrieval while being embedded in the story flow. An experiment is carried out in which participants watch a short video and re-tell the story using cards each of which shows a character or object occurring in the video. Participants arrange the cards when telling the story. It is analyzed what information interactions with cards carry and how this information relates to the language of storytelling. Most participants align interactions with objects with the sentences of the story while some arrange the cards corresponding to the video scene. Spatial interactions with objects can carry information on their own or complemented by language. There is an increasing interest in HCI in designing to support reflection in users. In this paper, we specifically focus on everyday life reflection, covering and connecting a broad range of topics from someone's life rather than focusing on a very specific aspect. Although many systems aim to support reflection, few are based on an overview of how people currently integrate reflection in everyday life. In this paper, we aim to contribute to this gap through a questionnaire on everyday life reflection practices combining both qualitative and quantitative questions. Findings provide insights in the broad range of people that engage with reflection in different ways. We aim to inform design through four considerations: rumination, timing, initiative and social context. © 2016 ACM.With technology becoming more pervasive in everyday life, it is common for individuals to use digital media to support the enactment and maintenance of romantic relationships. Partners in a relationship may create digital possessions frequently. However, after a relationship ends, individuals typically seek to disconnect from their ex-partner. This becomes difficult due to the partners' interwoven digital presence and digital possessions. In this paper, we report on a qualitative study exploring individuals' experiences of relationship break up in a digital context, and discuss their attitudes towards digital possessions from those relationships. Five main themes emerged: digital possessions that sustain relationships, comparing before and after, tainted digital possessions, digital possessions and invasions of privacy, involved and emotional reminiscing. Design opportunities were identified in managing attitudes towards digital possessions, disconnecting and reconnecting, and encouraging awareness of digital possessions. HCI research has identified a number of life events and life transitions which see individuals in a vulnerable state, such as gender transition, domestic abuse, romantic relationship dissolution, bereavement, and even genocide. Although these life events differ across the human lifespan, considering them as a group of 'sensitive life experiences', and exploring the similarities and differences in how we approach those experiences as researchers could be invaluable in generating a better understanding of them. In this workshop, we aim to identify current opportunities for, and barriers to, the design of social computing systems that support people during sensitive life events and transitions. Participants will take part in activities centred around exploring the similarities and differences between their own and others' research methods and results, drawing on their own experiences in discussions around carrying out research in these sensitive contexts. emotionally significant meanings to their owners. Reflection gives insight, supports action and can improve wellbeing. People might want to reflect more often for these benefits, but find it difficult to do so in everyday life. Research in HCI has shown the potential of systems to support reflection in different contexts. In this paper we present a design space for supporting everyday life reflection. We produced a workbook with a selection of conceptual design proposals, which show how systems can take different roles in the process of reflection: triggering, supporting and capturing. We describe a design space with two dimensions by combining these roles with strategies found in literature. We contribute to the extensive body of work on reflection by outlining how design for everyday life reflection requires a focus on more holistic reflection, design with openness and integration in everyday life. Many current wearables have a technology-driven background: the focus is primarily on functionality, while their possible personal and social-cultural value is underappreciated. We think that developing wearables from a jewellery perspective can compensate for this. The personal and social cultural values embodied by traditional jewellery are often tightly connected to their function as memento. In this paper we reflect from a jewellery perspective, a memory-studies perspective and a TEI-perspective on three design proposals for interactive jewellery. We identify 1) drawing inspiration from interaction with traditional jewellery, 2) using relatively simple technology with high experiential qualities, 3) abstract and poetic data representation and 4) storing data uniquely on the digital jewel as possible design directions. © Springer International Publishing Switzerland 2016. Stroke patient motivation can fluctuate during rehabilitation due to a range of factors. This study reports on qualitative research, consisting of observations of stroke patients undergoing rehabilitation and interviews with patients about the changes in motivation they identified during their time completing rehabilitation in the hospital. We found a range of positive and negative factors which affect motivation. Positive factors include improvements in patient movement and support from other patients and family members. Negative factors include pain and psychological issues such as changes in mood. From this fieldwork, a set of design guidelines has been developed to act as a platform for researchers and designers developing equipment for the rehabilitation of stroke patients. Designing to support memory for older individuals is a complex challenge in human-computer interaction (HCI) research. Past literature on human memory has mapped processes for recalling past experiences, learning new things, remembering to carry out future intentions and the importance of attention. However, the understanding of how older adults perceive forgetting in daily life remains limited. This paper narrows this gap through a study with older persons (n=18) living independently using self-reporting and semi-structured focus groups to explore what they forget, how they react, and what mechanisms they put in place to recover from and avoid forgetting. Findings include occurrences of prospective and retrospective memory lapses, conflicting negative and neutral perceptions, and techniques to manage forgetting. Participant responses indicate that an awareness of forgetting fosters internal tensions among older adults, thereby creating opportunities for further design research, e.g., to defuse and normalise these reactions. More and more objects of our everyday environment are becoming smart and connected, offering us new interaction possibilities. Tangible interaction and gestural interaction are promising communication means with these objects in this post-WIMP interaction era. Although based on different principles, they both exploit our body awareness and our skills to provide a richer and more intuitive interaction. Occasionally, when user gestures involve physical artifacts, tangible interaction and gestural interaction can blend into a new paradigm, i.e., tangible gesture interaction . This workshop fosters the comparison among these different interaction paradigms and offers a unique opportunity to discuss their analogies and differences, as well as the definitions, boundaries, strengths, application domains and perspectives of tangible gesture interaction. Participants from different backgrounds are invited. Moncur, W, Julius, M, van den Hoven, E & Kirk, D 2015, 'Story Shell: The participatory design of a bespoke digital memorial', Proceedings of the 4th Participatory Innovation Conference, Participatory Innovation Conference, The Hague University of Applied Sciences, The Hague, the Netherlands, pp. 470-477.
this paper describes the participatory process involved in designing a bespoke, tangible, digital memory – Story Shell – with a bereaved parent. We drew on emergent framework for digital memorials in considering who should author and experience the memorial, what content should be included, what form the memorial should take =, and what message it was intended to convey. A key finding was that the participatory design process itself served as a memorial, be presenting opportunities for the participant tp share detailed memories of their loved one. Reflections on the process deliver insights for makers and analysts on how to work in sensitive design spaces, where there is a need to consider not only an object's form bit also its situation within a delicate social context. their user experience, material choices are often steered by practical motives. This paper presents 'tactility trialing', an approach to explore tactile experiences of materials to inform the design of tangible artifacts. Through experience formulation, material selection, artifact creation and short user studies, designers and design-researchers are enabled to make informed decisions on the materials to be used in order to evoke the intended experience. The approach is illustrated through two case studies of student work. Tactility trialing helped them in getting acquainted with tactile material qualities in practice, and with the applicability of material characteristics such as resilience and hardness in design. For the research reported in this paper ethnographic research methodologies were used to explore patient motivation, feedback and the use of interactive technologies in the ward. We have conducted in-depth interviews with physiotherapists, who work closely with stroke patients to help them regain movement and function. From this research, a set of design guidelines have been developed which can be applied in the design of interactive rehabilitation equipment. on a day out and used a variety of capturing strategies. Retro Jukebox is a tablet-based software application designed for postoperative elderly patients and bedside nurses. The application is designed as a reminiscence aid to support patients' cognitive stimulation. In this paper, we present the lessons learned from a field study that led us to reflect beyond its utility-oriented design. We shed light on some implicit values and benefits that may not be seen as the designer's intentions but are a meaningful appropriation heading toward the same goal. As design practice has become more integrated in HCI research, there are on-going discussions around the role of design in research. Design research may take different forms, among which 'Research for Design' and 'Research through Design'. While, by definition, these two differ in their focus and result- The first informs the creation of a design artefact and the second aims for a contribution to knowledge-this paper presents a case study of design research in which Research for and through Design were used iteratively to gain insight into hybrid craft-an integrated physical-digital craft form. Based on our own reflections, this paper discusses what different roles these two strategies may play depending on the research topic under study; the phase in the design process; and the level of abstraction of the research activity and knowledge gained. It thus argues that using Research for and through Design together is a powerful strategy. Copyright is held by the owner/author(s). Walking is a physical activity that most people do on a daily basis. It is often characterized as a utilitarian means of locomotion; our basic, habitual mode of getting around from place to place. Walking can also be considered a creative and expressive act, with the potential for inspiring the design of interactive surfaces to support and mediate these aesthetic aspects. We draw on understandings of walking from a range of perspectives including biomechanics, ecological perception, anthropology and dance to inform the design and evaluation of an interactive surface. This surface, the Slow Floor, is intended to encourage a reflective engagement with the act of walking. We present the design and initial user evaluation of the Slow Floor, a pressure sensitive sound-generating surface, with a group of Butoh dancers performing a slow walk. The evaluation reveals a unique creative agency when walking on the Slow Floor compared to the internal focus on awareness when slow walking without the interactive surface. This creative agency provides new knowledge on the role interactive surfaces can play in developing awareness of movement and internal felt experience contributing to the discussion around somatics and HCI. Bakker, S, Hausen, D, Selker, T, van den Hoven, E, Butz, A & Eggen, B 2014, 'Peripheral Interaction: Shaping the Research and Design Space', Proceedings of CHI Extended Abstracts 2014, ACM, Toronto, ON, Canada, pp. 99-102. In everyday life, we are able to perform various activities simultaneously without consciously paying attention to them. For example, we can easily read a newspaper while drinking coffee. This latter activity takes place in our background or periphery of attention. Contrarily, interactions with computing technology usually require focused attention. With interactive technologies becoming increasingly present in the everyday environment, it is essential to explore how these technologies could be developed such that people can interact with them both in the focus and in the periphery of attention. This upcoming field of Peripheral Interaction aims to fluently embed interactive technology into everyday life. This workshop brings together researchers and practitioners from different disciplines to share research and design work and to further shape the field of Peripheral Interaction. This paper presents a research-through-design study into interactive systems for a primary school setting to support teachers' everyday tasks. We developed an open-ended interactive system called FireFlies, which is intended to be interacted with in the periphery of the teacher's attention and thereby become an integral part of everyday routines. FireFlies uses light-objects and audio as a (background) information display. Furthermore, teachers can manipulate the light and audio through physical interaction. A working prototype of FireFlies was deployed in four different classrooms for six weeks. Qualitative results reveal that all teachers found a relevant way of working with FireFlies, which they applied every day of the evaluation. After the study had ended and the systems were removed from the schools, the teachers kept reaching for the devices and mentioned they missed FireFlies, which shows that it had become part of their everyday routine. Copyright 2013 ACM. This paper explores how different interfaces to a problem solving task affect how users perform it. Specifically, it focuses on a customized version of the game of Four-in-arow and compares play on a physical, tangible game board with that conducted in mouse and touch-screen driven virtual versions. This is achieved through a repeated measures study involving a total of 36 participants and which explicitly assesses aspects of cognitive work through measures of time task, subjective workload, the projection of mental constructs onto external structures and the occurrence of explanatory epistemic actions. The results highlight the relevance of projection and epistemic action to this problem-solving task and suggest that the different interface forms afford instantiation of these activities in different ways. The tangible version of the system supports the most rapid execution of these actions and future work on this topic should explore the unique advantages of tangible interfaces in supporting epistemic actions. Abstract. This paper addresses the development of Social Stairs, an intelli-gent musical staircase to change peoples behavior in the long-term to take the stairs in favor of the elevator. Through designing with the Experiential Design Landscape (EDL) method, a design opportunity was found that social engage-ment encouraged people to take the stairs at work in favor of the elevator. To encourage this social behavior, people who involved each other and worked to-gether whilst using the Social Stairs were treated with more diverse orchestral chimes that echoed up the stairwell. In this paper we reflect on the differences between the persuasive system of the well-known Piano Staircase and the So-cial Stairs. We report on the deployment of the Social Stairs for a period of three weeks in the public space within the university community and identify opportunities for triggering intrinsic motivation, social engagement and how to keep people involved in the long-term. Feedback and affordances are two of the most well-known principles in interaction design. Unfortunately, the related and equally important notion of feedforward has not been given as much consideration. Nevertheless, feedforward is a powerful design principle for bridging Normans Gulf of Execution. We reframe feedforward by disambiguating it from related design principles such as feedback and perceived affordances, and identify new classes of feedforward. In addition, we present a reference framework that provides a means for designers to explore and recognize different opportunities for feedforward. This paper addresses the need to preserve culturally unique knowledge for future generations. This user-centered design-research case study focused on preserving Indigenous Knowledge (IK) of the South-African BaNtwane culture, specifically focusing on their rich beadwork and oral traditions. Our approach allows for design research in a scenario where the community is represented by a few prominent members, simultaneously making provision for the incorporation of modern technology in a society trailing in technology adoption. The study resulted in a recording device that fits the target group's oral tradition and is based on a concept in which oral stories are recorded and associated with tangible beads that can be incorporated into traditional beadwork. The device and interaction design embraces the culture's aesthetics and existing IK mechanisms. This paper presents a research-through-design study into interactive systems for a primary school setting to support teachers' everyday tasks. We developed an open-ended interactive system called FireFlies, which is intended to be interacted with in the periphery of the teacher's attention and thereby become an integral part of everyday routines. FireFlies uses light-objects and audio as a (background) information display. Furthermore, teachers can manipulate the light and audio through physical interaction. A working prototype of FireFlies was deployed in four different classrooms for six weeks. Qualitative results reveal that all teachers found a relevant way of working with FireFlies, which they applied every day of the evaluation. After the study had ended and the systems were removed from the schools, the teachers kept reaching for the devices and mentioned they missed FireFlies, which shows that it had become part of their everyday routine. Primary school teachers usually perform several tasks simultaneously. Many secondary tasks, such as giving turns or encouraging children to work silently, could be supported by interactive systems, which may lighten the teacher's busy everyday routine. Such systems however, should afford being interacted with while performing another primary task. We call this type of design peripheral interaction design. In this paper we present FireFlies, an open-ended peripheral interaction design developed for primary schools. Preliminary results of a six week deployment of FireFlies in four classrooms, reveal that teachers used FireFlies to perform secondary tasks and saw it as a valuable addition to the classroom. Though different interactions with FireFlies required different levels of effort, teachers could successfully interact with FireFlies during or in between other tasks. This paper explores the concept of peripheral interactions; interactions with technology that take place in the background or periphery of the attention. We present two designs for a classroom setting. CawClock makes selected time frames audible in order to provide teachers with awareness of time. NoteLet is designed to support the teacher in observing children's behavior, by enabling him or her to take pictures of the classroom through straightforward interactions on a bracelet. A qualitative, two-week exploration of both systems in a classroom revealed that the soundscapes of CawClock indeed shifted to the periphery of the attention and supported the teacher's time awareness. The actions with NoteLet did not shift to the periphery. However, the tangible aspects of NoteLet seemed to facilitate the interaction to be quick and simple, which may indicate that it could shift to the periphery with more practice. Tangible interaction therefore seems a promising interaction style for this purpose. Mueller, F, Walmink, W, Toprak, C, Bongers, B, Graether, E & van, DHE 2012, 'Hanging off a Bar', Proceedings of the SIGCHI Conference on Human Factors in Computing Systems 2012 Extended Abstracts (CHI EA 2012), CHI 2012, ACM, Austin, TX, USA, pp. 1055-1058. Exertion Games involve physical effort and as a result can facilitate physical health benefits. We present Hanging off a Bar, an action hero-inspired Exertion Game in which players hang off an exercise bar over a virtual river for as long as possible. Initial observations from three events with audiences ranging from the general public to expert game designers suggest that Hanging off a Bar can be engaging for players and facilitate intense exertion within seconds. Furthermore, we collected suggestions for what game elements players believe could entice them to increase their physical effort investment. These suggestions, combined with Hanging off a Bar as research vehicle due to the easy measurement of exertion through hanging time, enable future explorations into the relationship between digital game elements and physical exertion, guiding designers on how to support exertion in digital games. Antle, AN, Marshall, P & van den Hoven, E 2011, 'Workshop on Embodied Interaction: Theory and Practice in HCI', Proceedings of CHI Extended Abstracts 2011, ACM, Vancouver, Canada, pp. 5-8. For over ten years researchers in human-computer interaction (HCI) have explored an embodied perspective that seeks to describe and explain the fundamental role played by the physical body in how we experience, interact with and understand computation in the world we live in. Recently, such a perspective has been used to discuss human actions and interactions with a range of computational applications including tangibles, mobiles, wearables, tabletops and interactive environments. This workshop aims to enable participants to critically explore the different approaches to incorporating an embodied perspective in HCI research, and to develop a shared set of understandings and identification of differences, similarities and synergies between our research approaches. Using tangible interaction in interactive educational systems can benefit learning. This can be supported by relying on experientially originating schemata in the interaction design of learning systems. This paper presents the design and evaluation of MoSo Tangibles, a set of interactive, physical artifacts with which children manipulate the pitch, volume and tempo of ongoing tones, in order to structure their understanding of these abstract sound concepts in terms of multiple different concrete body-based concepts. The results indicate that MoSo provided children with a physical handle to reason about the targeted abstract concepts. Embodied interaction describes how meaning in interaction is created through engagement. With this approach as a source of inspiration for three exploratory design cases this paper explores the possibilities of embodied interaction in storing, retrieving and enriching everyday memories. Following the principles of designing for embodiment, all three design cases aim at cueing memories through visual modalities like photo and video. We discuss these case studies in light of the embodied interaction and memory theory. Our findings indicate that everyday remembering may be a suitable application area for combining it with embodied interaction, because of its abstract and personal nature. Handcrafted beadwork produced by the BaNtwane people of South Africa is loaded with meaning. Communicating indigenous oral stories is important for passing on culture-specific traditions and community memory, such as the meaning of the handcrafted beadwork. Oral stories are told within the physical confines of the community. The community we focus on in this paper suffers from younger generations moving away physically, start preferring the English language over their mother tongue and digital over oral communication, and therefore this co-located storytelling process is interrupted. As part of the StoryBeads project we have created an interactive system that incorporates a combination of physical objects and modern technology for recording and replaying oral stories that can help preserve the meaning of the handcrafted beadwork of the BaNtwane people. A lot of designers carry around sketchbooks, also called design journals, to record everyday inspirations. This paper describes a concept in which digital files are connected to specific pages of such a physical sketchbook. This way initial notes, drawings or other types of recordings can be united with their digital equivalents, related files or end results (like digital drawings and presentations). Our informal user evaluation points out that indicating file types is preferred over indicating number of files, since it helps users to recollect the digital files that are related to the work described on the physical pages. Digital tabletop surfaces afford multiple user interaction and collaboration. Hybrid tabletops that include both tangible and multi-touch elements are increasingly being deployed in public settings (e.g. Microsoft Surface, reacTable). Designers need to understand how the different characteristics of tangible and multi-touch interface elements affect collaborative activity on tabletops. In this paper, we report on a mixed methods exploratory study of a collaborative tabletop game about sustainable development. We explore the effects of tangible and multi-touch tools on collaborative activity. Forty-five participants, in trios, played the game using both versions of the tools. Our analysis includes quantitative performance measures, qualitative themes and behavioral measures. Findings suggest that both tangible and multi-touch tools enabled effective tool use and that collaborative activity was more influenced by group dynamics than tool modality. However, we observed that the physicality of the tangible tools facilitated individual ownership and announcement of tool use, which in turn supported group and tool awareness. Designers do not only create usable products for a predefined purpose, but also to explore new materials and technologies. In doing so, they should not restrict themselves to existing conventions, but develop new ones out of the medium at hand. These new interface forms should encourage users to appropriate an object for their own purposes - i.e. utilize it. In this paper, we will describe the development of a fabric interface prototype that should exploit the material and encourage utilization of the interface. We discuss how our theoretical perspective was translated into a concrete design, and how appropriate we judge it for utilization. We conclude that design without final goal is surprisingly hard to do, but can show the value of the medium used. You buy a new TV and get a new remote, you buy a DVD player and you get another remote, you buy a sound system and guess what? Almost every digital media product comes with its own designated remote control (RC). What would happen if one remote adapts to the owner's activities and is able to have cross-device control? In this paper we describe a design exploration conducted to create new ways to interact with digital media products. The main ingredients are: fit for a social setting, portable, and including physical interaction. The result is an exploration of a button less single-hand remote control concept. In this paper, we describe the iterative design and user study of "4Photos", a multi-screen table centrepiece allowing media content to be shared and enjoyed in a social setting. It was our intention to design an object with the purpose to gather qualitative data concerning the social effects of new ways of democratic, serendipitous and playful photo sharing. To facilitate this we used online photo repository content that most often gets experienced in an individual setting. Using 4Photos we positioned this content within a social setting and observed how the presentation of these images enabled new ways of "phototalk' to arise. We describe the design process, the final concept and reflect upon observed practices that emerged from people's usage of 4Photos. We then present several design implications and discuss future directions for continuation of this research. © 2010 ACM. Our everyday interaction in and with the physical world, has facilitated the development of auditory perception skills that enable us to selectively place one auditory channel in the center of our attention and simultaneously monitor others in the periphery. We search for ways to leverage these auditory perception skills in interactive systems. In this paper, we present three working demonstrators that use sound to subtly convey information to users in an open office. To qualitatively evaluate these demonstrators, each of them has been implemented in an office for three weeks. We have seen that such a period of time, sounds can start shifting from the center to the periphery of the attention. Furthermore, we found several issues to be addressed when designing such systems, which can inform future work in this area. Our auditory perception skills enable us to selectively place one auditory channel in the center of our attention and simultaneously monitor others in the periphery of our attention. In this paper, we present and discuss two design cases that explore the design of physical interactive systems that leverage this perception skill to unobtrusively communicate relevant information. Sounds are mechanically generated by these systems, which strengthens the coupling between signification and physical interface. Both resulting designs are aimed to be used in a home environment. In this paper, we describe the iterative design and user study of "4Photos", a multi-screen table centrepiece allowing media content to be shared and enjoyed in a social setting. It was our intention to design an object with the purpose to gather qualitative data concerning the social effects of new ways of democratic, serendipitous and playful photo sharing. To facilitate this we used online photo repository content that most often gets experienced in an individual setting. Using 4Photos we positioned this content within a social setting and observed how the presentation of these images enabled new ways of "phototalk" to arise. We describe the design process, the final concept and reflect upon observed practices that emerged from people's usage of 4Photos. We then present several design implications and discuss future directions for continuation of this research. To support reminiscing in the home, people collect an increasing amount of digital media on numerous devices. When sharing their media with other people, distribution of the media over different devices can be problematic. In this paper, we address this problem by designing an innovative interaction concept for cross-device interaction to support groups in sharing photos using multiple devices. We designed and implemented the Pipet concept. Results of a comparative study show that Pipet resulted in a pragmatic and hedonic user experience. Supporting users' reasoned imagination in sense making during interaction with tangible and embedded computation involves supporting the application of their existing mental schemata in understanding new forms of interaction. Recent studies that include an embodied metaphor in the interaction model, which relates action-based inputs to digital outputs, have provided evidence that this approach is beneficial. Yet the design of such systems has been difficult and full of setbacks. Wide spread adoption of this approach requires a better understanding of how to design such embodied metaphor-based interactional models. We analyze three recent design-based research studies in which we have been involved in order to derive design knowledge that may inform others. Following a case study methodology we identify kernels or points in the design process where discontinuities between predicted and actual interaction highlight important design knowledge. Physical activity and manipulating physical objects can be beneficial for learning. Earlier studies  have shown that interaction models that rely on unconscious and embodied knowledge (based on embodied metaphors) can benefit the learning process. However, more than one embodied metaphor might be applicable. In this paper, we present the results of a user study (n=65) designed to identify embodied metaphors seven to nine year old children use when enacting abstract concepts related to musical sound. The results provide evidence that multiple different embodied metaphors can unconsciously be used to structure the understanding of these concepts. In addition, we have identified and categorized commonly used metaphors based on the children's enactments of changing sound concepts. 'Lifelogging' technology makes it possible to amass digital data about every aspect of our everyday lives. Instead of focusing on such technical possibilities, here we investigate the way people compose long-term mnemonic representations of their lives. We asked 10 families to create a time capsule, a collection of objects used to trigger remembering in the distant future. Our results show that contrary to the lifelogging view, people are less interested in exhaustively digitally recording their past than in reconstructing it from carefully selected cues that are often physical objects. Time capsules were highly expressive and personal, many objects were made explicitly for inclusion, however with little object annotation. We use these findings to propose principles for designing technology that supports the active reconstruction of our future past. Playing games against people with a different skill level can be boring or frustrating, which decreases fun. A solution is to introduce specific rules that balance a game. In this paper we describe a study in which we used an electronic board game with tangible interaction to investigate whether balancing a game indeed increases fun experienced. We also investigate whether balancing skill levels implicitly (players are unaware) or explicitly (players are aware) has an influence on the fun experienced. We found that players who lost a game felt more successful in the balanced game compared to the unbalanced game. The balanced game also offered the players more fun experience than they expected beforehand. Finally, players preferred to play an explicitly balanced game because it increased the feeling of effort and challenge. Van Den Hoven, E, Mazalek, A, Gellersen, H & Schmidt, A 2008, 'TEI'08 - Second International Conference on Tangible and Embedded Interaction - Conference: Preface', TEI'08 - Second International Conference on Tangible and Embedded Interaction - Conference Proceedings. The first article reports on context-sensitive augmented-reality research presented at the 2007 International Symposium on Ubiquitous Virtual Reality. This student-organized event explored the use of contextual information, design principles, and effective user evaluation for developing AR applications for ubiquitous computing environments. The second article reports on The International Conference on Tangible and Embedded Interaction, the first conference series worldwide to focus on tangible and embedded interaction. The conference is interdisciplinary, covering the arts, hardware design, software toolkits for prototyping, and user studies and theory development. © 2006 IEEE. Traditions encircle the grieving process. These can support mourners in difficult times, for example by prescribing how to behave appropriately and by expressing a sense of history. On the other hand, this traditional approach can prevent the innovation of this field, thereby missing out on potential support when in sorrow over a lost one. This is what we tried to explore with the work described in this paper. We supported the grieving process by creating two design solutions for mourners. Both concepts focus on communicating commemoration between mourners: the Tilting Picture concept for people that are colocated, and the Mourning Stones concept for people that are not colocated. In this paper we describe our investigations on the role of material hardness in the haptic experience of tangible artefacts. Without seeing the artifacts children had to rank their experience on a scale of two antonyms while touching and holding these artifacts. In this experiment it was shown that children have no problem ranking hardness. Two groups could be identified: soft artifacts were found to be cute, speedy and warm, e.g., and hard artifacts boring, sad and old-fashioned. We think that paying attention to this factor in the design of tangible user interfaces for children can improve their experience. The design and interaction of physical game artefacts is becoming increasingly important for the design of digital tabletop games. In this paper a study is described investigating the differences in interpretations of realistic and abstract game artifacts comparing children and adults. A game was created on a digital tabletop as a carrier for the user evaluation presented in this paper. The appearance of the game artifacts was explored and a family of each of the artifacts was created. The interpretations of each of the individual artifacts and their different visual appearances were tested to determine whether children rank and interpret the functionalities of the artefacts differently than adults. The results showed that overall the understanding of abstract artifacts compared to realistic ones was best for both children and adults. It also indicated there was no significant difference in the interpretations of the realistic and abstract artefacts between children and adults. Well-being is a broad subject, which is described in this paper as: a personal balance of mental, social and physical being, influenced by life circumstances and life factors. These factors include emotions, engagement, life satisfaction, intentional activities and social network. The project described in this paper aims at improving well-being through the design of a persuasive and interactive installation for the home environment. After the investigation of well-being by means of a literature study, cultural probes and questionnaires, a concept was developed. This paper describes the design, implementation and evaluation of this concept. 'BLB', as it is called, encourages its users to seize the moment in order to increase their well-being. Schmidt, A, Gellersen, H, van den Hoven, E, Mazalek, A, Holleis, P & Villar, N 2008, 'Proceedings of the Second International Conference on Tangible and Embedded Interaction (TEIâ08)', TEI'08, TEI'08, ACM, Bonn, Germany. We are happy to present the proceedings of the second international conference on tangible and embedded interaction (TEI'08). The feedback we received in response to the first conference and the call of TEI'08 highlighted that there is a great interest in the state-of-the-art on Tangible Interaction, the research community and even beyond these topics. In its second year the tangible an embedded interaction conference is held in Bonn, Germany. The conference is in cooperation with ACM SIGCHI, with its proceedings to be archived in ACM's Digital Library. With technological advances, computing has progressively moved beyond the desktop into new physical and social contexts. As physical artifacts gain new computational behaviors, they become reprogrammable, customizable, repurposable, and interoperable in rich ecologies and diverse contexts. They also become more complex, and require intense design effort in order to be functional, usable, and enjoyable. Designing such systems requires interdisciplinary thinking. Their creation must not only encompass software, electronics, and mechanics, but also the system's physical form and behavior, its social and physical milieu, and beyond. These proceedings include original research work addressing HCI issues, design, use context, tools and technologies, as well as interactive art works in the domain of tangible and embedded interaction. The contributions range from concrete innovative solutions to inspiring novel ideas. The conference brings together this new field, providing a meeting ground for the diverse communities of research and practice involved with tangibles --- from computing, hardware, and sensor technology, to HCI, interaction design, and CSCW, to product- and industrial design and interactive arts. The conference provides with talks, interactive exhibitions, and posters appropriate presentation forms for different types of contributions. Octavia, JR, van den Hoven, E & de Mondt, H 2007, 'Overcoming the Distance between Friends', Proceedings of the 21st British HCI Group Annual conference 2007 on People and Computers (HCI2007), BCS-HCI'07, British Computer Society, Lancaster, UK, pp. 79-82. Staying in touch is a fundamental aspect in maintaining a long-distance relationship, whether it is in a family context or a friendship. An effective communication appliance can enable families or friends living apart to have a feeling of connectedness and help them to maintain their relationship despite the physical distance. This paper describes the results of an exploration study on people living far away from their families and friends, with a focus on how they stay in touch with their close friends and overcome the distance. The targeted user group in this study is geographically and physically isolated people. A user study was conducted by means of a survey, focus group and interview. The results show that sharing problems and feelings between two remotely located friends is crucial. Consequently, the design goal was set to enable users to notify and physically comfort each other, in a subtle way, through a remote but shared experience, whenever a problem or feeling occurs. Lalanne, D & van den Hoven, E 2007, 'Supporting Human Memory with Interactive Systems', Proceedings of the 21st British HCI Group Annual conference 2007 on People and Computers (HCI2007), BCS-HCI'07, British Computer Society, Lancaster, UK, pp. 215-216. The major goal of this workshop is to explore how interactive systems can support human memory, using novel technologies and innovative human/machine interaction paradigms, such as tangible interaction. We believe this is important since memory and attention are becoming critical resources for our wellness, e.g. with regard to a continuously increasing information overload. The goal of this workshop is not only to support personal information management but also daily life activities, e.g. adapted to user preferences and specific contexts. Where current multimedia search engines are designed for large user communities and their applications, this workshop targets the support of individualâs personal memory in everyday life. Bakker, S, Vorstenbosch, D, van den Hoven, E, Hollemans, G & Bergman, T 2007, 'Interactive tangible objects as play pieces in a digital tabletop game', Proceedings of Pervasive Gaming Applications 2007 (PerGamesâ07), Shaker Verlag, Salzburg, Austria, pp. 155-156. In this paper we present a new type of tangible interface for a digital tabletop game. This interface consists of an interactive tangible object; a play piece representing a bridge in the game 'Weathergods' . The game players can not only physically change the appearance of the bridge to manipulate the digital world, the digital world in return can also affect the appearance of this play piece. Bekker, M, van, DHE, Peters, P & Hemmink, B 2007, 'Stimulating Childrenâs Physical Play through Interactive Games: three Exploratory Case Studies', Proceedings of the 6th international conference on Interaction design and children (IDC'07), IDC'07, ACM, Aalborg, Denmark, pp. 163-164. Children are really intrigued by television and computers. However, the interaction with these products hardly requires any form of body movement. This paper presents two case studies of product designs that provide more opportunities for children to enjoy physical play activities. Bakker, S, Vorstenbosch, D, van den Hoven, E, Hollemans, G & Bergman, T 2007, 'Tangible interaction in tabletop games: studying iconic and symbolic play pieces', Proceedings of Advances in Computer Entertainment technology 2007 (ACEâ07), ACE'07, ACM, Salzburg, Austria, pp. 163-170. In this paper, a study is described which investigates differences in game experience between the use of iconic and symbolic tangibles in digital tabletop interaction. To enable this study, a new game together with two sets of play pieces (iconic and symbolic) was developed and used in an experiment with 30 participants. In this experiment, the understanding of the game, the understanding of the play pieces and the fun experience were tested. Both the group who played with iconic play pieces and the group who played with symbolic play pieces were proven to have a comparable fun experience and understanding of the game. However, the understanding of the play pieces was higher in the iconic group and a large majority of both groups preferred to play with iconic play pieces rather then symbolic play pieces. van den Hoven, E & Mazalek, A 2007, 'Tangible Play: Research and Design for Tangible and Tabletop Games', Proceedings of the Intelligent User Interfaces conference 2007 (IUI'07), IUI'07, ACM, Honolulu, HI, USA, pp. 6-6. This workshop addresses questions related to the areas of tangible interaction, game design and emerging technologies for tangible and tabletop games. We bring together researchers and practitioners from diverse fields related to these topics, such as HCI, computer science, interaction design and game design. We seek collaborative ways to move forward the field of tangible and tabletop games. Ullmer, B, Schmidt, A, Hornecker, E, Hummels, C, Jacob, RJ & van den Hoven, E 2007, 'Proceedings of the First International Conference on Tangible and Embedded Interaction (TEI'07)', TEI'07, TEI'07, ACM, Baton Rouge, LA, USA. It is our great pleasure to present the proceedings of the First International Conference on Tangible and Embedded Interaction. This new conference addresses interaction, design, tools, use, and art, especially encouraging interdisciplinary research spanning these themes.For its inaugural year, TEI'07 is held in concert with the 14th Annual Mardi Gras conference at Louisiana State University in Baton Rouge, Louisiana. Major sponsorship is provided by the LSU Center for Computation and Technology (CCT). The conference is in cooperation with ACM SIGGRAPH, with its proceedings to be archived in ACM's Digital Library.The Mardi Gras festival finds its roots some 5,000 years ago as a celebration of spring. In North America, the festival dates to French explorers' arrival at the mouth of the Mississippi River in 1699. Just south of New Orleans, where the river meets the sea, they named their landfall Point d'Mardi Gras, on occasion of the day.In this spirit of new life, discovery, cultural diversity, and celebration, each spring the Mardi Gras conference embraces a different theme of regional interest and relevance. This year, we have embraced tangible and embedded interaction, with aspirations of giving birth to a recurring annual gathering and celebration of research in this field. In this paper we describe the game 'Weathergods', which is implemented on the Entertaible tabletop gaming platform . The game uses either iconic or symbolic  tangible objects for interaction and marries both the advantages of traditional board games and computer games. IJsselsteijn, W, de Kort, Y, Midden, CJ, Eggen, B & van den Hoven, E 2006, 'Proceedings of the First International Conference on Persuasive Technology for Human Well-Being (PERSUASIVE 2006)', Proceedings of the First International Conference on Persuasive Technology for Human Well-Being (PERSUASIVE 2006), PERSUASIVE 2006, Springer-Verlag, Eindhoven, The Netherlands, pp. 1-214. Persuasive technology is the general class of technology that has the explicit purpose of changing human attitudes and behaviours. Persuasive technologies apply principles of social psychology in influencing people; principles of credibility, trust, reciprocity, authority and the like. Social psychologists have spent a great deal of effort over many years in trying to understand how attitude and behaviour change comes about, focusing on the effectiveness of human persuaders, and the persuasive power of messages delivered through non-interactive mass-media, such as newspapers or television. Harnessing the persuasive power of current interactive media, persuasive technology was recently identified as a separate research field, as evidenced by B.J. Foggâs first discussion of the domain1. Fogg characterises computers designed to persuade as the 5th major wave in computing2 . The scope of technologies that hold persuasive potential is broader than ICT alone, and includes persuasive product design and architectural design, yet the interactive nature of computers uniquely enables user-sensitive and user-adaptive responding, allowing persuasive messages to be tailored to the specific user in question, presented at the right place and at the right time, thereby heightening their likely persuasive impact. van den Hoven, E & Eggen, B 2004, 'Tangible Computing in Everyday Life: Extending Current Frameworks for Tangible User Interfaces with Personal Objects', Proceedings of the 2nd European Union symposium on Ambient intelligence (EUSAI'04), EUSAI'04, Springer-Verlag, Eindhoven, The Netherlands, pp. 230-242. This paper describes an extension to Ullmer and Ishiiâs TUIcategorization . The reason for adding new categories is based on their omission of their associative TUIs and our work in this area of personal objects. The benefit of using personal objects instead of generic objects is that in the first instance users already have mental models or personal links between experiences, the related media and these objects. In addition, a Graspable or Tangible User Interface with personal objects can support existing media systems, instead of designing new ones that have to be learned by users. van den Hoven, E, IJsselsteijn, W, Kortuem, G, van Laerhoven, K, McLelland, I, Perik, E, Romero, N & de Ruyter, B 2004, 'Adjunct Proceedings of the Second European Symposium on Ambient Intelligence (EUSAI 2004)', EUSAI'04, EUSAI'04, ACM, Eindhoven, The Netherlands. EUSAI 2004, the second European Symposium on Ambient Intelligence, was held on November 8 - 10 2004 at Eindhoven University of Technology, the Netherlands. EUSAI 2004 followed a successful first event in 2003, organized by Philips Research. EUSAI turned out to be a timely initiative that created a forum for bringing together European researchers, working on different disciplines all contributing towards the human-centric technological vision of Ambient Intelligence. Compared to conferences working on similar and overlapping fields, the first EUSAI is characterized by a strong industrial focus reflected in the program committee and the content of the program. As program chairs of EUSAI 2004 we have tried to preserve the character for this event and its combined focus on the original four major thematic areas: ubiquitous computing, context awareness, intelligence and natural interaction. This was reflected in the call for proposals and the constitution of the review committee. Further, we have tried to make EUSAI, which started as a symposium, grow into a full-fledged double-track conference. EUSAI included events such as a tutorial and workshop program, a poster and demonstration exhibition, a student design competition and three invited keynotes: Ted Selker from MIT, Tom Rodden from the University of Nottingham and Tom Erickson from IBM. This Adjunct-Proceedings volume includes the extended abstracts of the submissions in the following categories: demonstrations, posters, tutorials and workshops. All submissions have been reviewed to ensure the quality of the proceedings and have been revised to reflect the comments by reviewers. van den Hoven, E & Eggen, B 2003, 'Digital Photo Browsing with Souvenirs', Proceedings of IFIP International Conference on Human Computer Interaction (Interact03), Interact'03, IOS Press on behalf of IFIP, Zurich, Switzerland, pp. 1000-1003. The concept design of a recollection supporting device is implemented as a portable Photo Browser using souvenirs as a graspable user interface. When brought into an intelligent room, the Photo Browser is able to recognize the presence of people, graspable objects, and available output devices. The ability of souvenirs to trigger recollections is used as a shortcut to (sub-) sets of photos. This paper explains the context and content of the accompanying video, which shows the Photo Browser, the associated souvenirs and displays in use. van den Hoven, E, Eggen, B & Wessel, I 2003, 'Context-dependency in the real world: How different retrieval cues affect Event-Specific Knowledge in recollections of a real-life event', Society for Applied Research in Memory and Cognition (SARMAC), Aberdeen, Scotland, UK. The beneficial effect of reinstating learning context on memory has been well established, at least in laboratory settings. The role of context dependency in autobiographical memory (AM), however, has been studied less extensively. The purpose of the present study was to examine whether various cue-types differ in their contribution to AM-performance. In order to quantify AM, we developed a method to score units of Event Specific Knowledge (ESKs). According to Conway and Pleydell-Pearce (2000), ESKs represent the highest level of specificity in AM. Our method is based on grammar of the Dutch language, and scores ESKs on detailedness and classifies them into five content-types (i.e., perception-, reflection-, state-, action- and object-specific knowledge). It was hypothesized that a) cueing would increase the number of ESKs relative to a no-cue control condition and that b) particular cue-types would increase the number of related ESKs . Sixty-eight adults participated in a novel event (i.e., visiting a history theme park). One month later, recall was tested in a laboratory living-room setting using one of five cue-types and a no-cue baseline. This resulted in a 5 (cue-type: pictures, videos, sounds, smells, artifacts) x 2 (condition: no-cue vs. cue) design with repeated measures on the last factor. Two raters scored ESKs with a high inter-rater reliability (r=0.97). Preliminary results suggest that overall, the no-cue condition generated an equal or higher number of ESKs than the cued conditions. Results will be discussed and practical implications for the development of a Recollection Supporting Device will be addressed. van den Hoven, E & Eggen, B 2003, 'The Design of a Recollection Supporting Device: A Study into Triggering Personal Recollections', Proceedings of the HCI-International 2003, HCI-International 2003, Routledge, Crete, Greece, pp. 1034-1038. The work in this paper is carried out in the context of the design of a device which supports recollecting personal memories. This device aims to help people recollect or reminisce about their life, together or alone, at home. From the (autobiographical) memory literature we concluded that we needed to fill the deviceâs database with triggers instead of the memories themselves. For building this device we were interested in the following question âwhat are the most efficient triggers for recollectingâ. We carried out a field-study with media-types as triggers, that could be incorporated in such a device: photos, videos, sounds, smells and physical objects. One of the conclusions from this study is that certain types of triggers in fact reduce the number of memories people write down during recall. Therefore more research on recollection triggers is needed before the design phase of a device which supports recollecting can be finished. van den Hoven, E & Eggen, B 2001, 'A Graspable User-Interface for an Ambient-Intelligent Photo Browser', I3 Spring Days 2001, I3 Spring Days 2001, I3 Spring Days, Porto, Portugal. A novel intuitive user interface has been created for a context-aware, portable Photo Browser. When brought into an Ambient Intelligent room, the Photo Browser is able to recognize the presence of people and objects, and to discover available output devices and services. Photos can be associated with everyday ornaments, like holiday souvenirs. When such an ornament is placed near the Photo Browser the associated selection of photos is immediately presented. van den Hoven, E 2004, 'Graspable Cues for Everyday Recollecting'.